The following is a recap of Part 1 of a webinar of the same title. In this webinar, you’ll hear Brian Galonek, President of All Star Incentive Marketing and Sonic Boom, a wellness solution provider, discuss how properly-structured safety and wellness programs drive employee engagement and company profitability. With so much attention paid to employee engagement in the last few years, why are engagement scores still so low? Gallup reports that, on average, only 30% of employees are engaged in their work. Another 50% are not engaged, and – here’s the scariest statistic – a full 20% of the workforce is actively disengaged in their work. Those actively disengaged workers are more likely to be complaining to others about the company and/or their boss, and you’re more likely to find a disengaged employee’s resume’ on the copier! What’s the answer? Intrinsic Motivation. Those wonderful hard-to-find employees that are motivated from within. It’s in their DNA to go above and beyond. They love their work and are internally wired for excellence. Only approximately 20% of an average workforce is intrinsically motivated. Another 20% are the disengaged employees we described above, and these employees are not likely to be motivated to improve no matter what is offered. That middle 60% of a workforce is the sweet spot; the audience that, when offered the right incentives, will improve performance and can significantly impact results. When you have a culture of engagement, peers encourage and motivate each other. Companies that have a culture of engagement provide clear expectations, set goals with employees and recognize and reward achievement. Companies with higher levels of engaged employees have developed a culture of recognition, which leads to higher levels of intrinsically motivated workers. Healthcare is the 2nd largest corporate expense after payroll. The term “healthcare” is a misnomer since it’s really “sick care”. We spend most of our time at work, many jobs are sedentary (you may have heard the expression “sitting is the new smoking”). Because over 80% of diseases are preventable, it just makes financial sense for employers to encourage healthier lifestyles for their workforce. Wellness programs benefit both employees and employers. A safer workplace saves time and money on many levels: lower workman’s compensation fees and claims, lower insurance premiums, lower absenteeism, higher productivity and obviously, healthier employees. 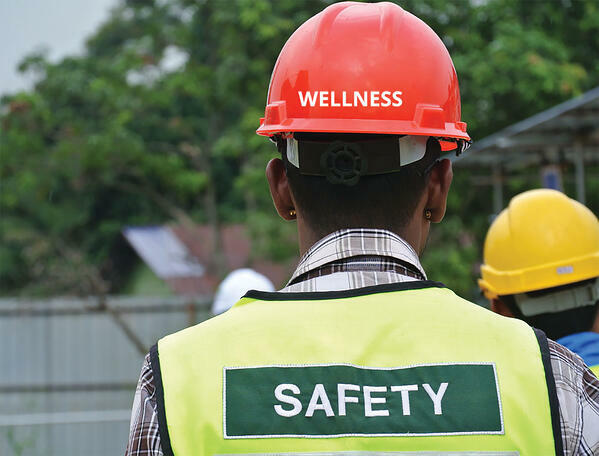 In Part 2 of this webinar recap, we’ll discuss the link between company Wellness and Safety programs and outline some best practices for designing these programs to inspire maximum levels of employee engagement. To view the full webinar, click here!